The crypto market grew by many folds in 2017, especially during the bullish peak period of December. The year saw various businesses sprout up, with some floating ICOs as a means of raising capital. However, 2018 has brought in some serious changes, most notable of which is the regulators’ growing interest in the industry. The crypto market hasn’t been doing very this year in terms of prices. Bitcoin has shed off over 80% of its previous peak value of $20k achieved in December 2017. 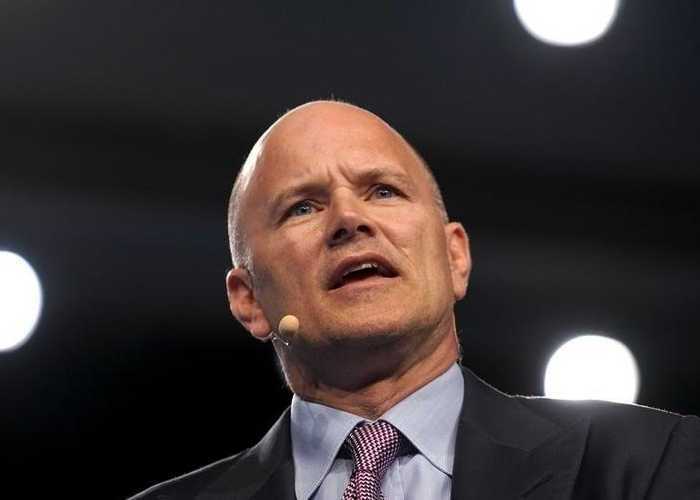 However, Mike Novogratz thinks the bearish sentiment will not last long. Mike is the founder of Galaxy Digital and a former partner of Goldman Sachs. Just recently, Mike was quoted as saying that Bitcoin would bottom out at around $6,200. Despite the recent market crash, he still remains bullish. In his view, 2018 has been a pretty challenging year for the market, but the future is looking good. However, he admits that starting a crypto business amid a bear market can be a really draining affair. This is mainly due to the anxiety that results from falling market prices. Mike seems to have experienced the paining pangs of the sad market situation first-hand. Two of his top guys at Galaxy Digital have left. Apparently, David Namdar, who was the co-head of trading, and Richard Tavoso, who was the company’s president, left Galaxy Digital to work with bigger entities. Also, there are unconfirmed reports that the company has been summoned by US regulators for yet-to-be known reasons. Despite all that, Mike has remained steadfast in his positive outlook of the overall crypto industry. According to him, 2019 will be a great year for cryptocurrencies. He envisions that large financial institutions will seek to test the waters of the crypto industry during the first quarter. With that, the market will gain from a funding inflow. Also, Mike predicts a crypto flip next year. In his opinion, such an occurrence would turn into a gradual price shift and ultimately end in a major bull run. At the moment, Bitcoin is trading at around $3,800 and is battling to stay above water as it tries to reclaim the $4,000 range. Two of the most impacting causes of the market slump can be traced to the recent Bitcoin Cash hard fork and SEC’s toughening stance on cryptos.